I am going to use this playlist with minor modifications for a class tomorrow. Thanks for aharing! Thanks Allie. This has been one of my new favourites. I want to pull it out almost every week and have to stop myself (especially since I have one rider who comes to all of my classes). Hey Thijs, thanks! I did a riders’ choice the other day – at the outset, I tell them I will take requests (usually for a song about 3/4 through the class) and to think about what they’d like and if it is on my iPhone, I’ll play it. What got requested? Safri Duo, from one of my regulars. Everyone loved it. I’d love to hear what you’re riding to in the Netherlands. Come on back and post some of your favourite tunes. At the moment this is my sprint lesson. 5 sessions of 4 minutes a seated climb with the last 15 sec an standing sprint, the next 4 minutes standing climb and a 15 sec seaded sprint. after that a slow seated climb, with a resistance push every minute and another sprint session. 6 sessions of 2 minutes climbing, with the last 30 sec an sprint. Awesome Thijs! I am going to enjoy checking out the tunes I don’t recognize. Plus, I think you win the award for fastest reply ever. All the best. I think I may be your source for Come On via Former Cycling Pingers :) This is one of my favorites and I use it a lot! I actually like what you have acquired here, really like what you’re stating and the way in which you say it. You make it entertaining and you still care for to keep it sensible. I can not wait to read far more from you. This is actually a tremendous website. Have you tried The Alphabeat by David Guetta? It’s one of my new favorites. Love your playlists! I teach two classes a week and have incorporated some of your suggestions! I have a varied class, from 20somethings to late 60somethings thus having a variety of music for a general audience is a must! Keep up the nice playlists! Great to share and swop ideas ! Heres another 2 that I have been using over in the UK and the customers seem to enjoy the tracks. The music is good spinnin music, but if you don’t like my workout then adapt it, thats the beauty of being an instructor, being able to adapt & challenge for your specific class ! 1. Rumour has it (127 bpm) by Bump n Grind – 6.02 – I start off with a good seated fast flat pace then at 1.31 increase that resistance and stand with a hand position 3 and continue with a good solid fast strong climb, trying to keep to the beat of the song, sit at 3.03 but keep that resistance on and work those legs ! then stand again at 4.26 all the way until 5.56 back to that beat ! 2. Kangeroo – by Sander van doorn -6.02 – Again keep a good fast seated flat pace to begin then increase the resistance and stand hands at position 3 at 2.01 stay standing and work to that beat until 3.31 then sit but keep that resistance on and work those legs then stand again at 4.31 and work to that beat until 5.46. Hope you like these two tracks, my riders love them and are really dripping sweat at the end !!! Cynthia! I love love love your playlists! I would love to be able to go to one of your classes and feel that awesome energy! You should record one and put it on youtube or something. I had a question about rolling hills… what are they? How much different are they from jumps? Thanks for sharing your notes and music choices. They are fantastic! In my class, at least, rolling hills are when you climb (heavy and fast) and then drop the tension and sprint down the other side. Cynthia – your suggestions are great! Been waiting to see what you had in store. Thanks for sharing. I have heard and read about indoor cycling classes where participants are encouraged to do seriously unsafe and unnecessary moves on the bike. I have been participating in indoor cycling classes for only five years and have had the good fortune to ride with well trained and conscientious instructors. 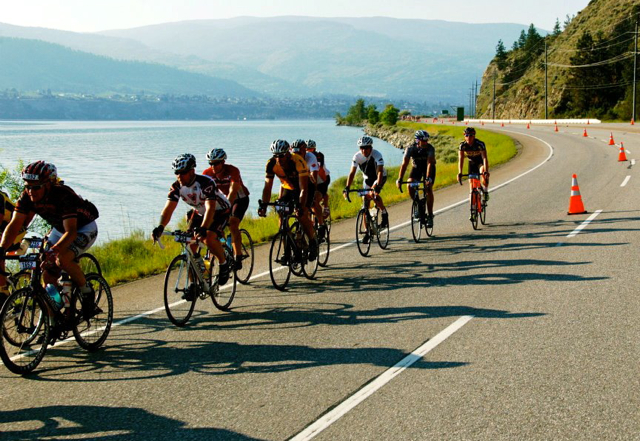 The YMCA where I cycle is influenced, guided, and monitored by several national health and fitness organizations as well as by legal liabilities protecting the organization of the YMCA as well as its members. I believe these factors are the reason I have not been put at risk by a growing trend in unsafe indoor cycling practices. I highly recommend anyone who has been asked to perform any move they felt was unsafe or simply unnecessary with a cycling class to inquire about the instructor’s training and credentials. I LOVE cycling and all the benefits I have gained from taking regular classes. I am always encouraging others to try out a class. I would hate to inadvertantly invite anyone to participate in any unsafe or harmful fitness activity. So, I encourage anyone who is interested in cycling to check out their facitlities and the instructor’s trainings. Hi Lori, thanks for posting. I agree. I think that the vast majority of riders care about good music and whether they *think* they got a good workout (i.e. whether it felt hard). I don’t think many (except perhaps those who ride outdoors or have a background in exercise physiology) assess their instructor on safety and compliance with generally accepted indoor cycling principles. They just uncritically follow what the instructor tells them to do. That is why it is so important for instructors to take the time to learn what to do and what not to do, and why. I think it is also important for gyms to exercise oversight, not only when hiring, but as instructors develop. I also think certifications should spend more time on contraindicated moves at the outset so that people who’ve picked up bad habits from other instructors can understand the problem and choose not to use those moves in their own classes. The rider who asked to do figure 8s is someone I’ve ridden with for years. I know there was a (very popular) instructor at the gym five or six years ago who used to do these; I don’t know if she was hearkening back to that or if she’s been to a class somewhere more recently where an instructor did them. (I know she attends cycling classes at three different gyms). I have never used them in my classes for the reasons already described. Thanks for the link to list of contraindicated moves. Your posts are SO Very helpful and appreciated. Keep up the great work! I have been teaching spin for just over 6 years now and am always on the prowl for new music and drills and look forward to your postings for both!!! Thank you, thank you for sharing all that you do. One drill I have not heard of is a “figure 8”. Would you explain that one, please…. See below, Lisa – basically it’s an upper body move. I am not a spin instructor – in fact – I dislike most spin classes because of all the crazy stuff… why would I do push ups on a bike? I like to get on a spin bike in an empty room and ride to my tunes (which I have mostly stolen from your tunes :)) LOVE the seated flats (I am a road cyclist first, spin second….) Love this site for music ideas and LOVE this ride! Thank you!!! Nikki, this is how I started out, riding to my own music in an empty room. I don’t have time to do it much anymore, but I always really enjoyed it. I agree! I had an instructor once who told us to do pushups on the bike. I never went back! Unfortunately, spin classes can get pretty boring. I try to find motivational music, which is why I love this blog! I keep my classes simple, though. Hi Cynthia, some awesome sprinting tracks here. Unfortunately not enough time before todays classes to download. I will definately include some on Monday. Cheers. Check out lalala song. Love it for a fun recovery track!! 5:45 of steady beat – thanks Paul! Thank you Cynthia, nice ride. The Veldt? I am obsessed by this song and it works very well in my spinning classes. There is a longer version (Original Mix, 11:34) and a kicking shorter remix (Tommy Trash Short Remix, 4:13). Thanks Pierre! I am working on a long-song playlist right now! My favourites of the ones you suggested are Everyday and Gold Vision. Cool! Happy that you took the time to listen to them. Beat It – Michael Jackson: mmm, do I need to comment? The Fall – Rhye: 2nd single from the Los Angeles, California-based indie musical duo (incl the Canadian Mike Milosh!). Brilliant for cool down. Hi, one of the best classes I ever rode in had only five songs (between warm up and cool down). All fast hills. The slowest song had 136 bpm (68 rpm), the fastest 142 bpm (71 rpm). The longest 12 minutes, the shortest 9:30 minutes. This one is cool because it is real fun to ride. It contains regular ‘ping’ tunes. I always change from seated to standing hill and back if one of the pings occur. As the name says it, the time between the pings vary. Anyway, I just tell the members that I won’t tell them when to change position, they should listen to the music and change on every ing. It is an exhausting ride, because it is a fast hill (72 rpm), but because they have to concentrate listening they won’t realize this until the end! Underworld also has some nice long songs. Hi Cynthia, I have to ask, What’s a ‘figure 8’? A figure 8 is one of those upper body moves. Riders move forward in the saddle and lean to the left handlebar, then the right, then pull back and lean to the left, then the right, which sort of makes like a figure 8, hence the name. All that leaning makes me nervous for backs and knees. Actually, I don’t do any upper body stuff on the bike, except a bit of stretching at the end and maybe some shoulder rolls at the beginning. In regards to the figure 8, I know of NO certification that would say this is an acceptable move Cynthia. Schwinn and Mad Dogg, cycle fusion, Lemond, real Ryder would say this is a contraindicated move! Just as push-ups are, or sprinting over 120. Correct me if I am wrong please! Just wanting to keep it real, but maybe in Canada that is ok? I agree, gr8fulm. I want to be clear about this because I know others rely on this site for accurate information about indoor cycling: I DO NOT use figure 8s or any other contraindicated moves in my classes. I wanted to talk about my experiment of asking for rider participation (which worked wonderfully!) and illustrate a potential problem: if you give your riders four acceptable options, what should you do if someone wants to choose a fifth, unacceptable option? Clearly, I was not going to have my riders do it, but I also didn’t want to shame or seem critical of the rider who suggested it, so it had to be handled delicately. It’s not their job to know what is acceptable and what is not – it’s mine. I wanted to give a heads up to instructors who try asking for rider participation that they will need to think about and be ready to deal with the rider who chooses something unacceptable. I believe that cadence above 110 rpm is useless for normal Indoor Cycling classes. Above 120 rpm I believe it is nearly an assault to the riders. Why? Because such high cadence only makes sense for a short time with lots of resistance to get as much power as possible on the pedals. And that is called sprinting! (Please see here for some science, to read the conclusion is enough: http://www.ismj.com/pages/311417173/ISMJ/journals/articles/Vol.10-No.1-2009/optimal-cadence-selection-during-cycling.asp). What is normally happening (98%) with normal members in a cycling class? The higher the cadence the lower they adjust resistance because otherwise they can’t keep the speed for more then 10 seconds. The result is that the flywheel pressure forces them to jump like a rubber ball on the bike. Despite this is not good for knees and muscles, what kind of exercise is this? What’s the sense? Neither strength nor endurance training. An instructor once wanted to show me that he could indeed do it for a longer time. 130 rpm. Within five minutes his shoes jumped two times out the pedals because he was not controlling the bike but the bike him. Based on research to date, it would appear that relatively high pedal rates (100-120rpm) improve sprint cycling performance, since muscle force and neuromuscular fatigue are reduced, and cycling power output maximised at such pedal rates. However, extremely high cadences increase the metabolic cost of cycling. Therefore prolonged cycling (i.e. road time trials) may benefit from a slightly reduced cadence (~90-100rpm). During ultra-endurance cycling (i.e. >4h), performance might be improved through the use of a relatively low cadence (70-90rpm), since lower cadences have been shown to improve cycling economy and lower energy demands. However, such low cadences are known to increase the pedal forces necessary to maintain a given power output. Future research is needed to examine the multitude of factors known to influence optimal cycling cadence (i.e. economy, power output and fatigue development) in order to confirm the range of cadences that are optimal during specific cycling tasks. Thanks! Have been missing your posts, and thinking another one was due any day. Nice ride. Have a great weekend…take some time for a little R&R. Thanks Steve! I wondered if you were the source for Come On? HI Cynthia. 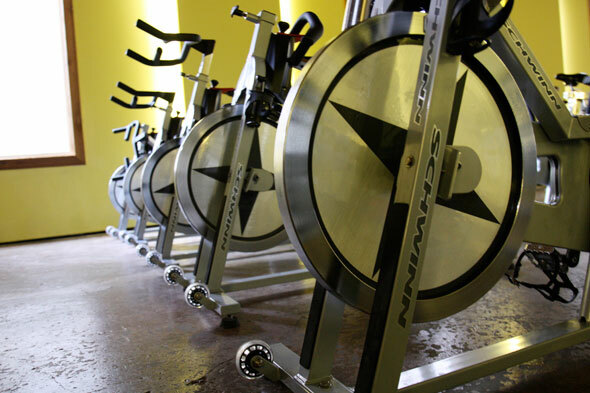 I teach RPM as well as Schwinn and it is true that with RPM, in the speed tracks we can take the pace up to 140rpm. However, it is always stressed that this is with resistance. At no time is free cycling allowed. RPM is very much about getting the balance between resistance and speed and we are consistently advised that one should not overpower the other. Interesting Heather. I wasn’t sure if it was part of the program or if this instructor was just doing her own thing. She said the power meters on the bikes conk out at 140 RPM so she urges riders to try to make their meters go blank and when someone does, they give a huge cheer as it’s really hard to do. I’ve never actually tried to hit 140 RPM but I can see it would be nigh impossible with the right resistance.